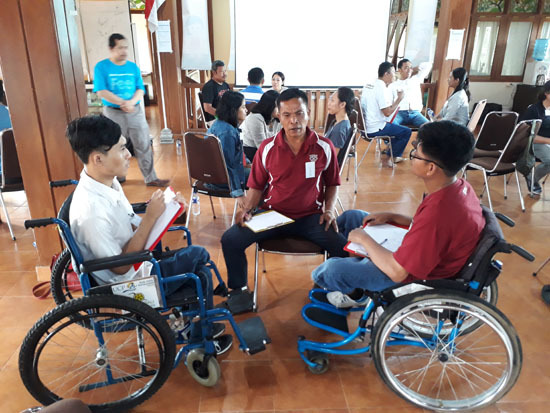 A three days workshop was held by Karuna Bali Foundation under Campuhan Life Long Learning program in Campuhan College on 20-22 July 2018. 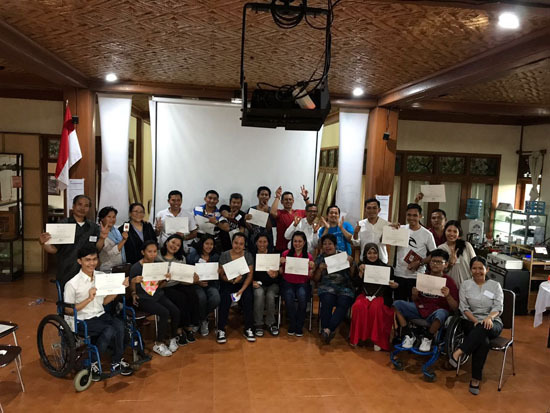 Facilitated by LVE Accredited Trainer of Living Values Education Indonesia, Mr. Muqowim and Mr. Wayan Rustiasa also co-facilitated by Ms. Elis Huwa. The participants of this workshop are mostly from Bali but there are also those from Pekan Baru, Jogjakarta and Lombok. Aside from understanding deeper about the values, they learn together about creating a safe zone to share, that they rarely experienced during their everyday life. The workshop is fun-filled with activities, games, songs, group discussions and presentations. The complexity of the background from each participants including doctors, midwife, acupuncturist and psychologists in this workshop enrich the process of growth for each person. The strength of their bonding souls are being challenged when they have to support each other since there are friends with disabilities also as participants. Conversations got deeper and problems got more complicated as each day passed, but they thrive above them all and understand more about their core values. In a world filled with modern technology, getting in touch with your inner self and your soul are also as essential as enrichment from the food we take everyday. 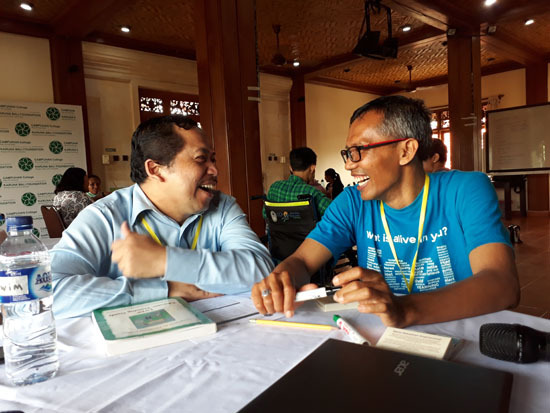 One of the participant from Riau mentioned that from this LVE workshop, he can learn to appreciate himself better like he has never done before. He believed that his body consist of the body, soul and spirit. So we have to give attention to these three. The appreciation for himself is fulfilled during this workshop. Another one said that by joining the workshop she can recharge her life, becomes more powerful and understand more about the five basic emotional needs. As they weaved through the journey of understanding the values and living them; the sensation, the feelings, and the friendship are the ones they will cherish and hold dear for the rest of their lives.